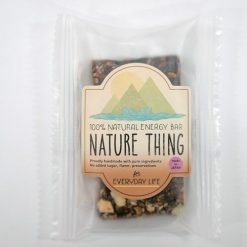 NATURE THING for EVERYDAY LIFE is the perfect snack for a healthy lifestyle. surprisingly, even wine is a marvelous companion to it. 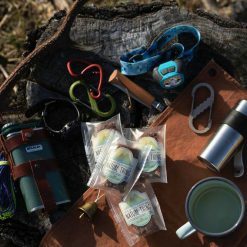 “EVERYDAY LIFE” is filled with a rich chocolatey flavor from the addition of cacao nibs and carob. You will be amazed that it does not contain artificial flavors or refined sugar. It only contains natural sweeteners from fruit. 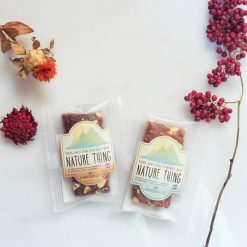 NATURE THING is ideal for those who follow a vegetarian, vegan, macrobiotic and gluten free lifestyle. Japanese cuisine is regarded as one of the healthiest cuisines in the world, however, many everyday snack foods are filled with artificial additives, refined sugar and hydrogenated fats. As it is easy to come by, people often eat highly processed, unhealthy food. At Classic Organics, we want to change this and the simplest way to it is to create an alternative to them. 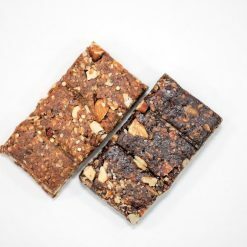 We decided to make energy bars that are healthier, tastier alternatives for every lifestyle. Every bar is full of flavor and hand crafted with quality. “Simple food is better food” has always been my core belief, from the very moment I made my first energy bar at home, in my tiny kitchen. This dedication to simplicity also applies to LIFE itself. We believe that “you are what you eat”. The better you eat, happier you will be. 6 years ago I first realized the importance of eating real food. One day I was admitted to hospital. I was run down from traveling and didn’t eat a healthy diet, even though I worked for a food company. Since then, I started eating a healthy and natural diet. 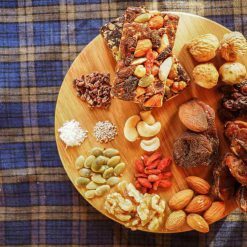 I still have to travel a lot and I realized that energy bars are the best option f or busy and health conscious people like me. However, I realized that there were very few choices for high quality, natural energy bars in Japan. A few years later, I visited Australia and was very inspired by the unique energy bars available there. Although these bars were very unique, most of them did not appeal to my Japanese taste buds. It was then that I came up the idea of making energy bars that would appeal to everyone, even my fellow Japanese people. I tried as many bars as I could to perfect recipe and nutritional composition of Classic Organics energy bars. 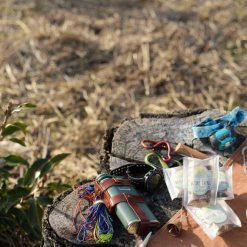 As soon as I came back to Japan, I started my energy bar project and launched the range of Nature Thing energy bars in December 2016. This product contains dates, raisins, rolled oats, coconut oil, almonds, carob, walnuts, fig, pumpkin seed, desiccated, coconut, goji berries, chia seeds, cacao nibs.